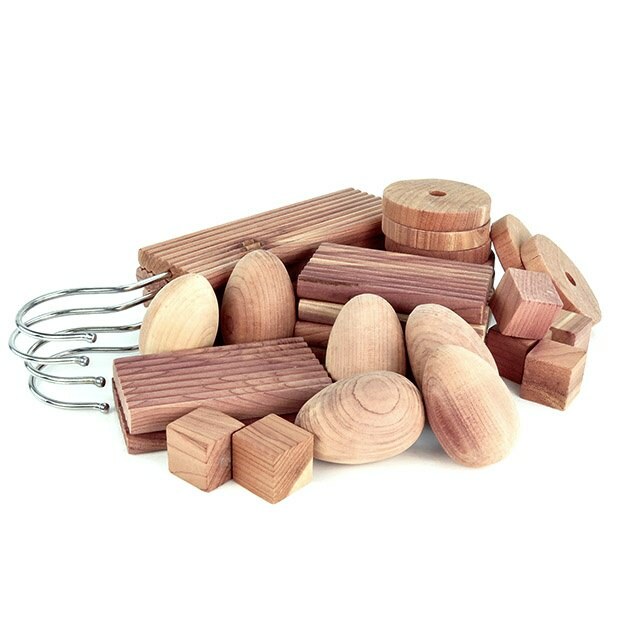 Pack of 30 cedar wood pieces, packed in Hangerworld branded box. The set consists of 6 egg shapes (5cm x 3cm diameter ), 6 cube shapes (2cm x 2cm), 6 blocks (8cm x 4cm), 8 rings (5cm x 5cm diameter) and 4 hanging blocks with metal swivel hooks (13cm x 4.5cm). Can be placed in drawers, wardrobes, under bed storage bags or over the hooks of hangers etc. Excellent service! Would recommend! Haven't used as Christmas pressie!